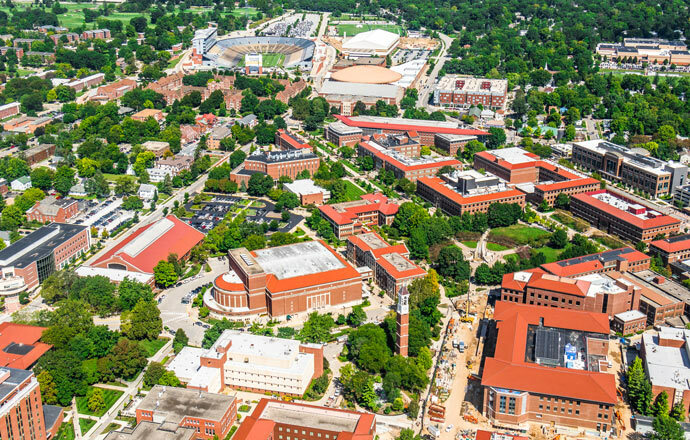 Following is a roadmap for admission to Purdue for students who have been out of high school for at least five years and whose high school record is significantly deficient (poor grades and/or missing many of Purdue's high school course requirements). By following the recommendations below, such students may be admissible to Purdue after just one year of coursework at a community college. If you are unsure whether this plan applies to you or have any questions, please consult with a Purdue admissions counselor, admissions@purdue.edu, 765-494-1776. High school diploma or successful completion of high school equivalency assessment. At least 24 semester credit hours of college-level coursework, including the minimum subject-area credit hour and course requirements. Grades in all courses must be C- or higher. The 24 credit hours cannot include remedial or development courses (typically identified with course numbers less than 100). Your institution may require placement testing prior to enrolling in college-level classes. If remedial, preparatory classes are recommended, we strongly suggest you follow the recommendations. Use Purdue's online transfer credit course equivalency guide to select courses that will transfer to Purdue and allow you to meet the minimum subject-area credit hour and course requirements. Additionally, students in Indiana may refer to the state's core transfer library for a list of courses that will transfer among all Indiana public institutions, including Purdue. At Purdue, students are admitted to specific majors. You must meet the minimum college GPA and course requirements for your desired Purdue major, which may be in addition to the subjects listed below. See individual Purdue majors for major-specific transfer criteria. If you follow this plan before applying to Purdue, the Admissions Committee will disregard your high school grades and coursework and consider for admission based on the merits of your college-level coursework. 3 At minimum, the math class should be college-level algebra. Additionally, calculus is required for admission to many Purdue majors. Refer to Purdue's major pages for any specific math requirements to transfer into your desired major. 3 Biology, botany, earth science, chemistry, physics or zoology. Course should include the laboratory section if your college lists lab sections separately on transcripts. Additionally, some Purdue majors require specific science courses. Refer to Purdue's major pages for any specific science requirements to transfer into your desired major. 3 Anthropology, history, literature, philosophy, political science, psychology, religion or sociology. 3 This requirement is waived for students who are NOT applying to a major within Purdue's colleges of Education, Liberal Arts or Science. It is also waived for students who would graduated from high school prior to 2004. 3 We recommend an additional course in one of the subjects above or a computer skills class. Select a course that will transfer to Purdue and help prepare you for the academic rigors of our University. * All courses must be 100-level or higher and grades must be C- or higher. *Math for Ivy Tech Students – Students should follow the "STEM" (Science, Technology, Engineering, Math) track when selecting math classes at Ivy Tech. Non-STEM math classes may not meet the college-level algebra minimum requirement.